Thinking about the word, the first thing I wondered was, what is the past tense of this sucker? Stang? Of course not! Because that would be too easy. Sing, sang, sung; Ring, rang, rung. It’s not Stought either – bring, brought, brought. Or Stinged – ding, dinged, dinged. Oh, English. I can’t just blame your spelling system this time. Posted on September 17, 2017, in Daily Post and tagged Daily Post. Bookmark the permalink. 6 Comments. It is a ridiculous spelling system when you think of it! Great picture, and I hope you didn’t get stung. It is ridiculous! (not ridiculus…why? I don’t know!) No – didn’t get stung. 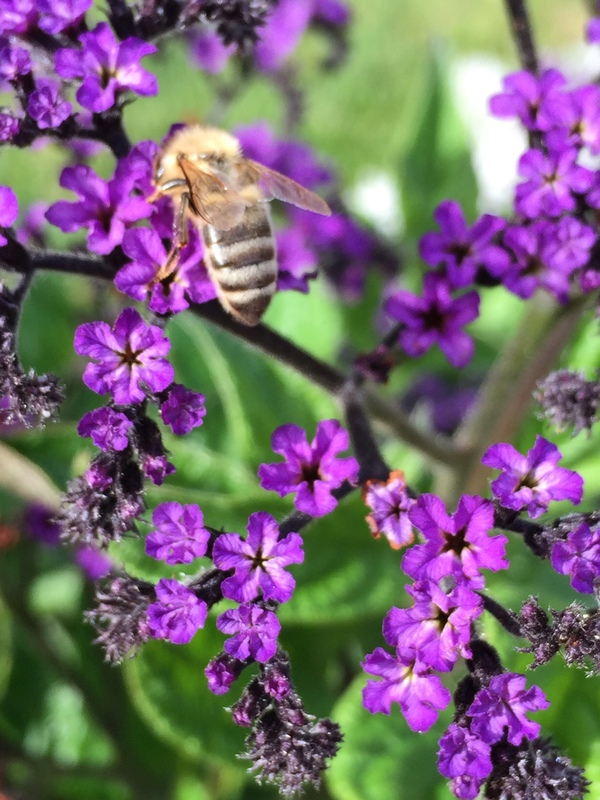 The bees were too intent on the flowers to even notice me!